The Anti-Monopoly Committee of Ukraine has complained about the procurement procedure for selecting the official ticket partner for Eurovision Song Contest 2017, Concert.ua. EBU has issued a statement regarding the delay in the start of ticket sales for Eurovision 2017: "We are disappointed". The Ukrainian broadcaster UA:PBC chose Concert.ua to handle the ticket sales for Eurovision 2017, but other ticket agencies have stated that the rules surrounding the procurement procedure was not open and fair. – We will be doing the decision of the Antimonopoly Committee, it is – the authorized government body, but we have other options. We can not say that we agree with this decision, so we are looking for solutions to the situation, so that we can start selling tickets as soon as possible. We are consulting the European Broadcasting Union (EBU) on this issue, and we will not accept any decisions without coordination with them, says Pavlo Hrytsak. – We hope that tickets will go on sale in February, we are actively working on the implementation of this. It should be noted that in previous years there were different starting date of ticket sales for the competition - it was in March (12 March - in 2012, 16 March - in 2009). 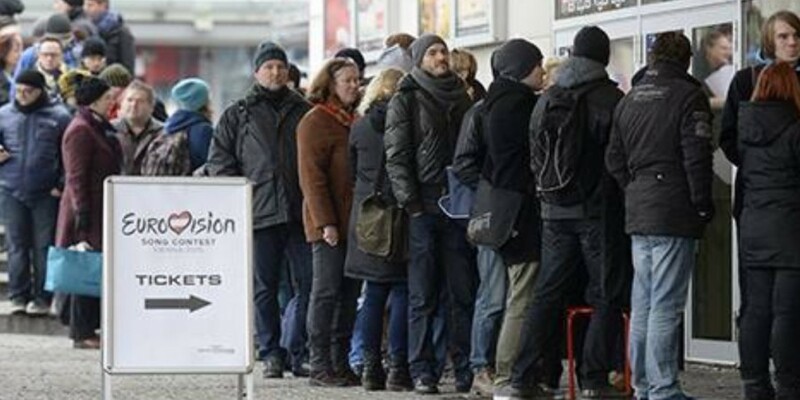 Jon Ola Sand and the European Broadcasting Union is disappointed with the ticket delay. – We are disappointed with the delay in the start of ticket sales for Eurovision 2017, but we are working close together with UA:PBC, to resolve this situation. The EBU recognizes that any tender process should be transparent and fair, and hope that tickets will go on sale as soon as possible.